Great for outings with family or friends! 1 voucher is valid for 1 pax. Min 2 to go. Minimum group size of 40 pax required to proceed. 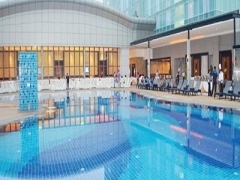 Johor Bahru: Only $129.90 per pax for 2D1N Stay at 5-Star KSL Resort + All-You-Can-Eat Durian Feast + Shopping Tour + Seafood Dinner + Return Air-Con Coach Transfers. Min 2 to go. • After a hearty breakfast, free time at own leisure.